...on the Sunday after a Notre Dame football game? 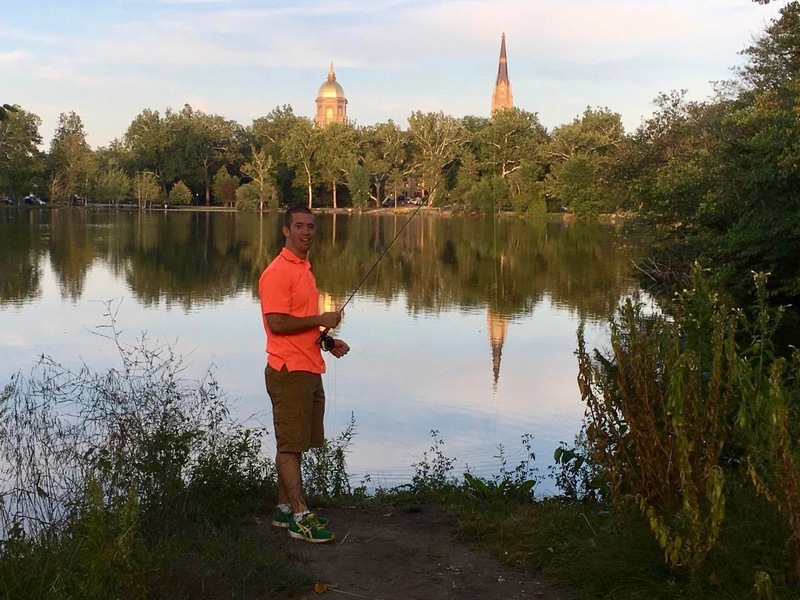 Well, if you are Dan Rish '14, you go fishing at St. Mary's Lake. After taking in the home opener against Temple, Rish enjoyed his Labor Day weekend by extending his stay and doing all those things that his labors prevent. Despite not having a fishing license, Rish was unhampered by NDSP, soaking up beautiful weather and sights AND reeling in a catch. 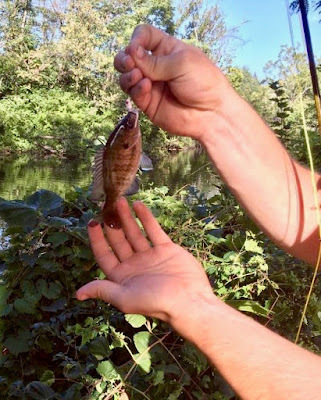 On his Notre Dame fishing adventure, Rish said, "Catching some tiny fish seemed very appropriate on Temple weekend. Great to taste victory, but we all know there's bigger fish out there!" Indeed, there are Rish, but will they all get away?